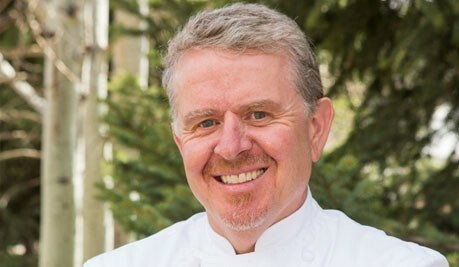 Gilbert Pepin is the Executive Chef of 7X Beef. He has been working with this extraordinary product for more than two years testing and perfecting the cooking method. Some people were meant to be chefs, and Gilbert Pepin is one of them. And his destiny has nothing to do with sharing his surname with one of history’s most famous chefs. “My whole family has been involved in the restaurant business one way or another,” says Pepin. “At 13, I started working in a family friend’s restaurant, and never looked back. It’s a life-long passion for me, and I’ve never had any regrets or indecision about a life in the kitchen. Trained in the culinary arts during high school in Massachusetts, Pepin got his first big break while he was still in college when a string of coincidences — and a one-way ticket — landed him an apprenticeship at Le Reve D’Alsace in Morangis, France. In subsequent years, he took stages at Fauchon and La Maree in Paris and cooked on Cape Cod during the summers, experiences that gave him the chops to take over as an executive chef at Regatta Restaurants in Falmouth and Cotuit, Massachusetts. From there, his growing reputation took him to Australia’s Bondi Beach, the Hawai’ian island of Lanai, and eventually into the private kitchens of the Palm Beach, Florida area. After stints as personal chef for collector William Koch and racer Jeff Gordon, Pepin ventured back into the public realm in 2003, opening the highly regarded Restaurant 902 Main in South Yarmouth, Massachusetts. In 2008, Pepin was lured back into William Koch’s culinary fold, where his cuisine is paired nightly with selections from Koch’s legendary wine collection. During the formation of 7X Beef, Pepin was called upon to develop menus built around the product years before it was available to the public.